The storied inlaid black coral jewelry collection was started in the Caribbean by renowned sculptor Bernard K Passman. 40 years later, Passman Jewelry necklaces, pendants, rings and earrings are still meticulously handmade and cherished by jewelry lovers worldwide. Eric Grossbardt founded Asch/Grossbardt in 1986. The collection has stayed true to its founding principles of exquisite craftsmanship, well thought-out design, attention to detail, and precise execution over the past 30 years. Brindle & Figg sources natural, exotic, rare gems from around the world for the Asch/Grossbardt collections. Fine jewelry, hand-carved unique materials and stones designed to create true treasures. Show your Mountaineer pride at an App State football game or anywhere, any day. 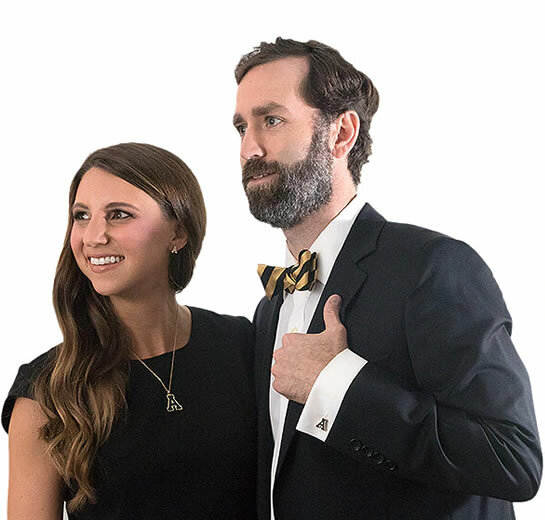 The Appalachian State Collection is versatile from day to evening, dressed up or dressed down, or with or without a logo.